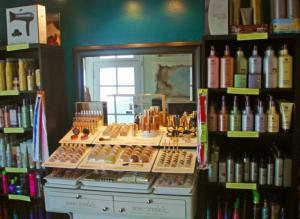 Serenity Salon and Spa for all your beauty needs! 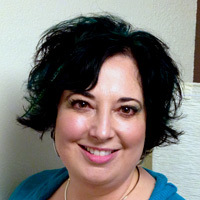 Serenity welcomes Betty Woods to our team at Serenity as our new esthetician! 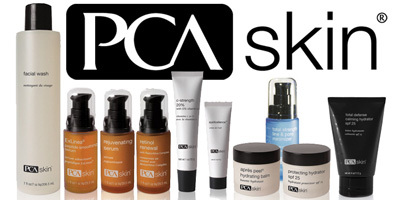 She joins us in April with over 20 years of skin care experience with Dermalogica and Pca. Stay on the watch for her fun facial, waxing, and peel specials! 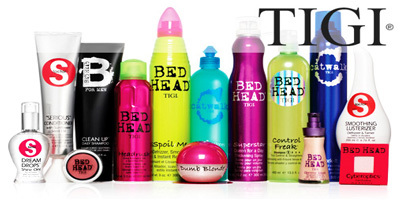 We have an experienced team that will work with you and help you make every day a great hair and skin day! Looking for a new style for your haircut? Want a bit more sass in your hair color? Need to update your makeup with a new look? Call us today to schedule your appointment. Now offering Kerasilk Keratin smoothing treatment, lash tinting, acrylic nails, Shellac, and brow tinting! We are also carrying the Surface Awaken hair care line and CBD Cream or oil for pain relief. Suavecito pomade is available in Original or Firm hold. Looking for Biofreeze? We have it in a roll on version or squeeze tube. 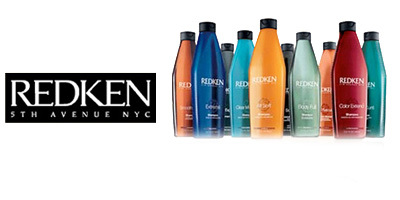 “Our goal at Serenity Salon and Spa is to provide you with a relaxing and fun experience. 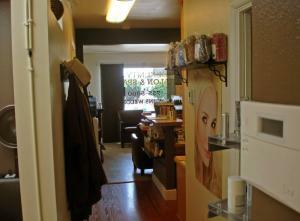 Serenity Salon and Spa is located in Burlington, Wa in Skagit county. 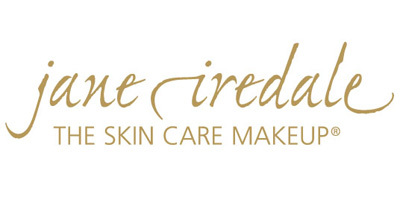 We carry an extensive retail line which includes Jane Iredale mineral makeup, Dermalogica skin care, Pca skincare, Johnny B, Pureology, Moroccan Oil, Surface, Wella Eimi, Redken, Cerafill, Kms, S Factor, Tigi, Difi, and Goldwell. 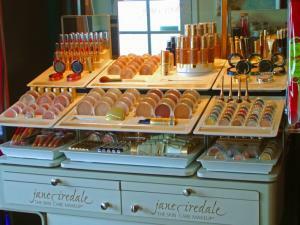 We carry the full line of Jane Iredale mineral makeup and Dermalogica and Pca skincare. 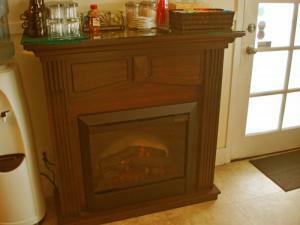 It is rare for us to not have an item in stock so stop in or call us to set your item aside! 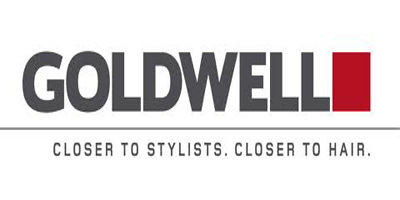 We specialize in Goldwell hair color services and have three experienced and talented hair stylists. 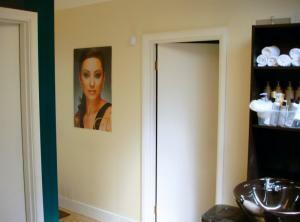 We also offer relaxing facial treatments in our treatment room. We offer discounted monthly specials on services and retail products so sign up for your email alert when you visit us! 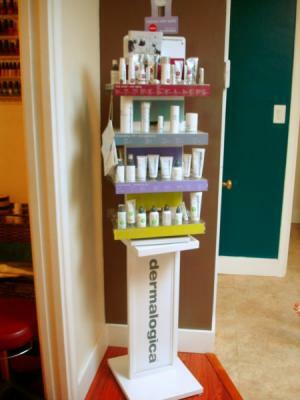 We believe in pampering our clients and offering them a bit of “serenity” to take home with them. We are located on the corner of Fairhaven ave. and Burlington Blvd. 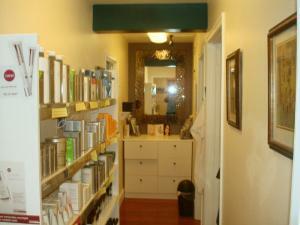 and have a private parking lot next to our salon for your convenience. We are centrally located in Skagit county so whether you are coming from Mount Vernon, Sedro-Woolley, Anacortes, or La Conner, we are worth the short drive to us! 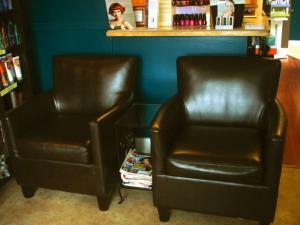 Whether you just need a quick haircut or want to bring in the whole family for haircuts we will take care of you! 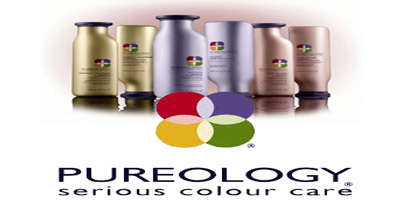 We offer a quality hair cut and a relaxing and fun experience. Come visit us soon! Serenity Salon and Spa: Amber, Jason, Elena, Rebecca, and Betty. Since graduating from Bellingham Beauty School in December 2003 I’ve been working with people to help them come up with a look that fits their lifestyle. I love working with my clients and getting to know what makes each of them a unique and interesting person. I love to take on challenges and welcome change! I specialize in color and have attended many advanced classes in color correction and unique foiling patterns and color techniques. I enjoy precision styles as well as creating your signature look with texture. I believe in continuing my education and learning something new every day! 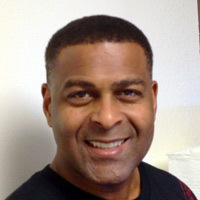 I’ve been married to my business partner, Jason Guidry, for 25 years and have an energetic son named Darius. Owning my own salon allows me to balance work and family in a new and exciting way. 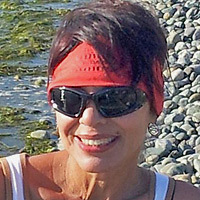 I have been in the hair industry since graduating from Bellingham Beauty School in 1999. I enjoy meeting new people and helping them come up with a new look! I am a huge sports fan so come prepared and let’s talk football! I have had extensive advanced training in haircuts and clipper techniques. I believe in continually striving to be the best at what I do and take many additional classes to further my skills behind the chair. I’ve been married to my business partner, Amber for the last 25 years. I have a wonderful and active son named Darius…..he makes me laugh every day! I enjoy the challenge of owning my own salon to be able to spend more time with my family and be more involved with my local community. 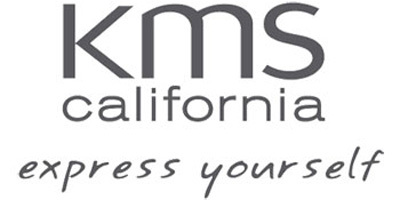 I started in the nail industry in 1980 in Los Angeles, CA. I specialize in acrylic nails with all hand filing. I enjoy spending time with my clients, playing golf, and hot yoga. I look forward to meeting you and helping you maintain a polished look! I love and appreciate the art of hair as it has been a passion of mine since I was a little girl. I have been licensed for more than 20 years and in that time I have mastered a wide range of hair cutting techniques. My expertise is in precision cutting, texturizing, color, foil highlights, low lights, fashion cuts and special occasion hair updos. I also specialize in men’s haircuts and styles especially military cuts. I believe in continuing education, and I strive to stay at the forefront of my field. As a result, I take ongoing classes with Goldwell, KMS, and Redken to stay fresh and creative in my approach to hair. I highly value the art of listening. I take the time to listen and understand what my clients want and need. If you can imagine it, I can create it. Whether it’s modern and sassy or sleek and natural looking, my clients leave my chair with a beautiful color, cut and style that perfectly matches their personalities and lifestyles. 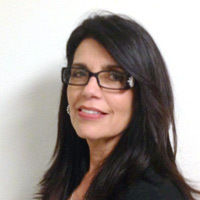 BETTY: Betty Woods joins us in April 2019 as our new esthetician. 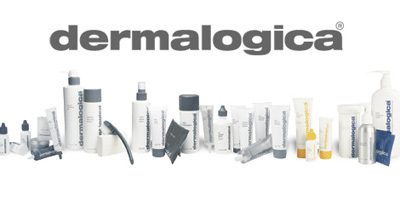 She joins us with over 20 years of skin care experience with Dermalogica and Pca. Stay on the watch for her fun facial, waxing, and peel specials! 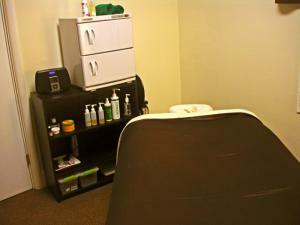 FRESH START FACIAL $55: Hello Spring! Hello Betty! Welcome both with a Fresh Start Facial. 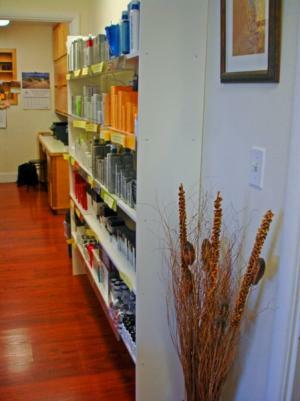 Leave your dry winter skin behind and enjoy the skilled hands of our new esthetician Betty. This is a full 60 minute facial and includes a skin consultation, double cleanse, exfoliation, massage, moisturizer, and spf protection. Call us today for an appointment! WAXING SPECIAL: Are you seeing some of that pesky peach fuzz hair now that the sun is out? Tune up your eyebrows and add a half price lip wax! It is amazing how fabulous brows can lift up your look and attitude. We have a variety of options to help with most eyebrow challenges and can even tint your brows for a longer lasting solution. Call us to schedule your spring brows! 15% OFF BROW ACCESSORIES: (Brow kits, brow gels, and brow pencils) We would love to show you your brow options! We are currently looking to hire our next great massage therapist. Additional evening appointments are available until 8pm most evenings upon request.